I'd like to say that performances from last weekend were positive signs of a successful fall racing season to come, but unfortunately not all of the weekend's performances took place in the Northern Hemisphere. Down under, Frances Loeb made her 26.2 debut at the Sunshine Coast Marathon in Australia in a runner-up performance of 2:59:31. 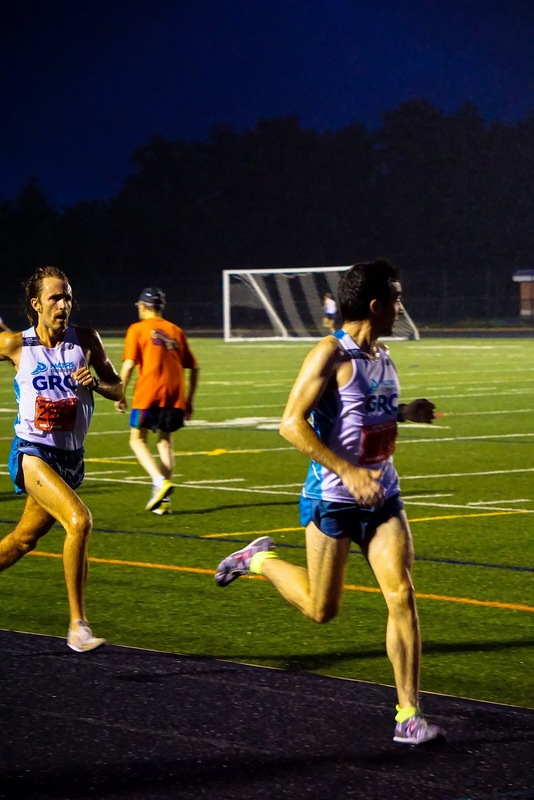 A sub-3 debut is impressive by any measure, but as Coach Jerry pointed out, "Frances's home base in Vanuatu is not conducive to running at all, let alone marathon training. 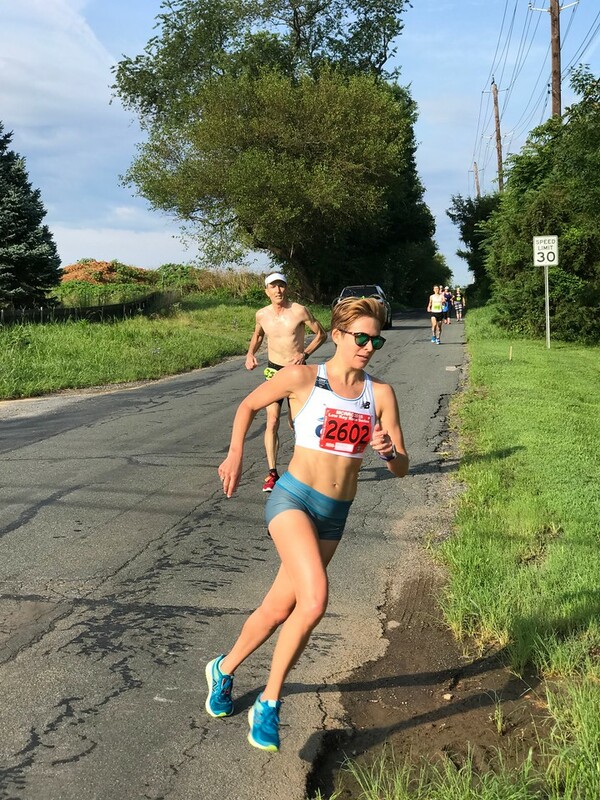 Between the extreme heat and humidity, trails that are so overgrown that they are virtually impassable, and a workout loop that is only 200 meters, Frances had her work cut out for her to get in enough training to think about even attempting a marathon, let alone running it competitively." Our analysts agree that this race was a positive sign of a successful spring racing season to come for Frances. Closer to home, we had a smaller crew tackle the historically humid Annapolis 10-Miler. Jordan led the way in 5th with a 57:24 clocking, and TK finished 10th in 58:57 despite a scary bout with heat-related illness. Tom is already back on the mend, thanks to the doctors that put the IV in Tom Kelly "IV" (joke credit goes to Charlie). Newcomers Chelsea V (64:58) and Caroline (65:36) also competed well. 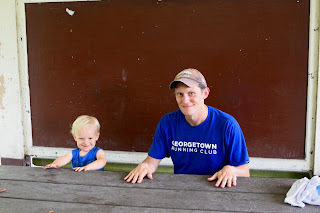 In non-race news, we hosted our first ever GRC Reunion on Sunday. The past and present of GRC celebrated club accomplishments, paid respects to Lauren and Nina, and honored individuals who have helped to cultivate our club's culture over the years. Charlie also got to spend some quality time with young Henry. Most running blogs run the risk of turning into weather blogs during the dog days of summer, so we're just sticking to the facts this week. 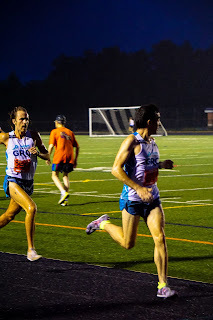 On Friday, Outlaw and Dickson closed out their summer mile circuit at the Going Green track meet in Gaithersburg, MD. 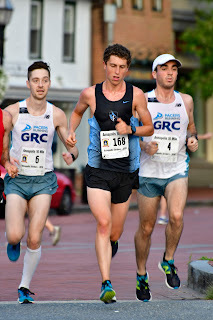 Semi-professional rabbit Tom Kelly performed his characteristically perfect pacing duties for 1200m before allowing Outlaw to turn on the jets for a 4:29.1 performance. Dickson cruised home with a 4:43 after finding himself in no-man's land. Since trackside reports suggest that the finish line was placed in lane 6, we've contracted a team of data analysts from FiveThirtyEight to run calculations on whether this would equate to a sub-4:28.3 PR performance for Outlaw. Last weekend, Kerry defended her title at the venerable Riley's Rumble with a 1:25:53 performance. Ex-pat Kristin "Snakes" Johnson was 3rd in 1:30:37, and Charlie finished 2nd overall in the men's standings with a 1:20:39 run. I'm told that Riley's Rumble has hills but can't personally attest to that fact. It's entirely possible that the photo below is using some camera perspective trickery to create the illusion of a hill.